RLJE Films (Bone Tomahawk) has acquired all North American rights to the horror film Housewife directed by Can Evrenol who's last film Baskin is a true assault on the senses. Evrenol co-wrote the film with Cem Özüduru and it stars Clementine Poidatz (Shut-In) and David Sakurai (Fantastic Beasts: The Crimes of Grindelwald). RLJE Films plans to release the film in the fall of 2018. In Housewife, young Holly's sister and father are killed by her frantic mother. Years later, Holly is married, lonely, and her life is soon about take a turn for the ultra-weird, when she visits the leader of the "Umbrella of Love and Mind." Housewife had its world premiere at L’Etrange Festival in France and was an official selection at the SITGES International Film Festival, Brooklyn Horror Film Festival and the Vancouver, Portland and Denver International Film Festivals, winning “Best Director” award at Melbourne’s MonsterFest. 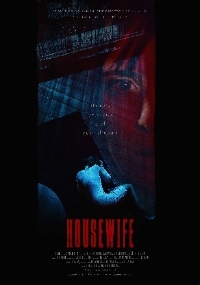 Housewife was produced by Metin Anter (Butterflies), Müge Büyüktalas (Baskin) and Erhan Ozogul (Ya?am?n K?y?s?nda). Clément Lepoutre, Gary Farkas and Olivier Muller of Vixens are associate producers on the film. Ward and Jess De Leo from RLJE negotiated the deal with Nate Bolotin at XYZ Films on behalf of the filmmakers.